It's been raining alot in Malaysia lately, but instead of the usual, fierce thunder storms (hey thunder storms are quite a norm here if you don't know! ), they are peaceful quiet rains, which I love most. Malaysia aren't exactly "the" place you would want to visit if you don't fancy walking underneath the Sun, but if you live in Australia, which is now too cold for you and you would like to get some warm air, then you may consider Malaysia especially Australian dollars are so strong right now, oh and there are so many beaches here too! Kristin Smith from K S Jewellery Designs want me to bring you this good news - that she got me upload her Step By Step Wire Jewelry Tutorial named Spiral Adorned in http://de-cors.com for you to download for free. 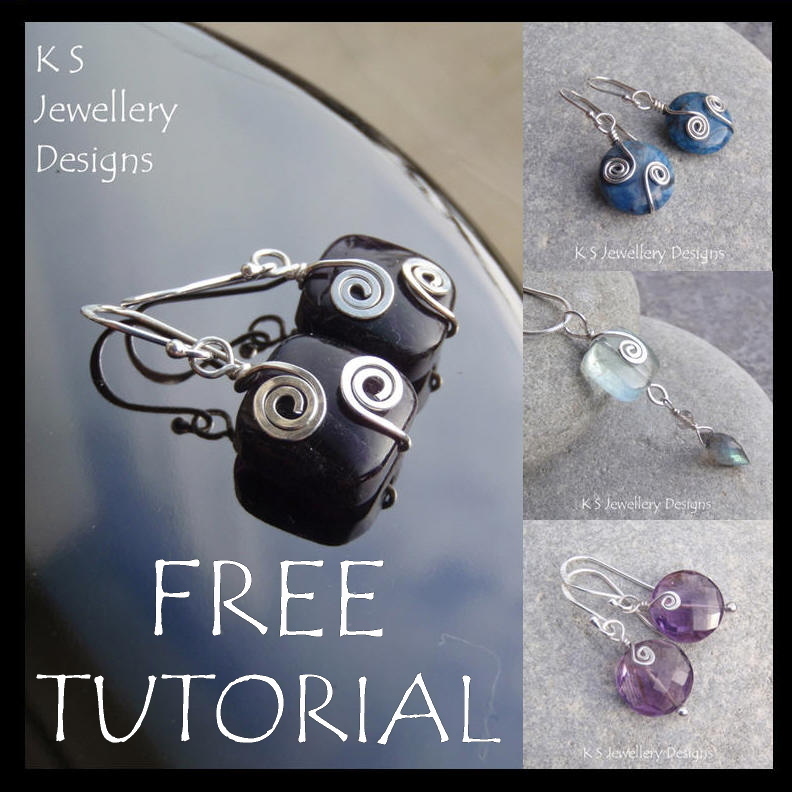 Step By Step Wire Jewelry Tutorial available for download! You gotta thank Kristin for this, she didn't even have this in her blog nor Etsy store, and she is generous enough to let me post this tutorial for FREE in http://de-cors.com, with just one pure intention: to add value to people who love handmade jewelry. Spiral Adorned tutorial is now available for FREE DOWNLOAD for all http://de-cors.com members (sign up now if you haven't, it's FREE), if you would allow me, may I request you leave a comment here so that Kristin knows you loved her contribution - just imagine your beads turned to be spiral adorned after going through her teaching, it works really well with both colorful and mono-color beads, and you gotta love the idea. Learn the technique, and go ahead multiplying to create lots of different spirals, and last but not least, give the credit where it's due, Kristin and I would thank you. Wish you have a happy happy Sunday! Hope it gets loads of downloads and also brings more customers to your site.